Finally it’s time to have a full week’s worth of superhero shows to cover, from Gotham through Supernatural minus Arrow. I’ve said it before and I’ll probably say it again, but Gotham is very uneven from episode to episode. Some episodes have a lot of over the top acting, are more on the campy side of things. And somehow the show manages to skirt the edge of gritty and campy which is a hard thing to do. At first, I thought that it was the mob politics that I liked seeing and wanted to see more, but when I got it in spades during last week’s episode, it was a big mess. What I realized with this episode is that what I like about this show is when they allow Gordon and Bullock to do actual detective work. When this show actually becomes more like one of those more typical police procedurals, only with hints of Batman in the background. And I feel like this episode hit that tone better than any before it. 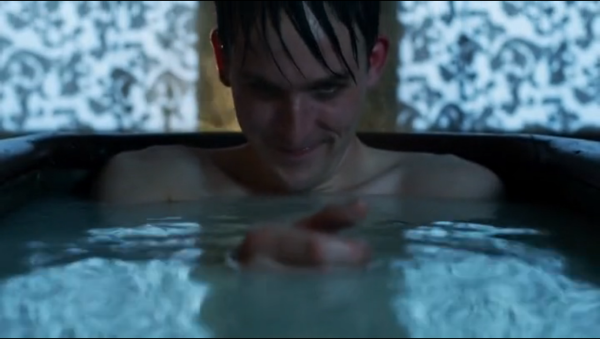 It also helped that it had the same visual feel of Arkham during several moments including a great shot of Penguin in the bathtub. I think what really helped win this episode over for me was the fact that it was written by Ben Edlund whose work I’ve enjoyed from his time on the Tick up through Angel and Supernatural. There was the right amount of humor that wasn’t too campy, even if there was a callback to the ’66 Batman when Bullock exclaims “Holy Ghost on a bicycle!” It was also a great subtle touch to have The Goat’s mask have a bit of the Batman ears to it. This is the kind of subtlety that I liked seeing. 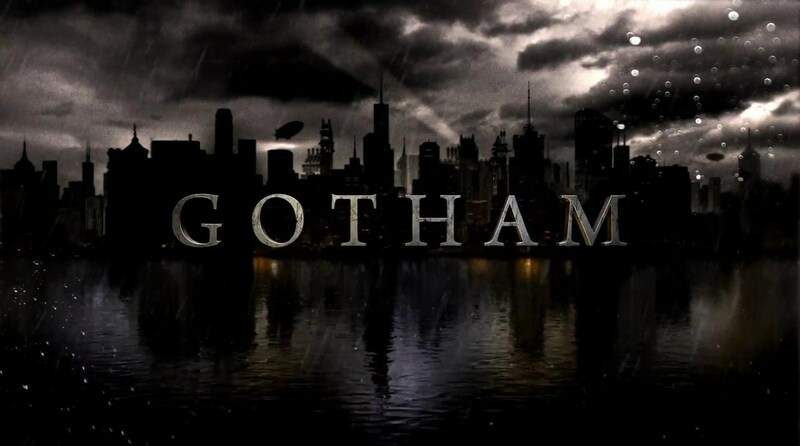 There were still some weak points in the episode, I wasn’t fond of Nygma’s scenes, nor the odd throwaway scene of Catwoman stealing something that I’m sure will be important a few episodes down the line from little Bruce. But aside from those moments, this was another strong episode. Unfortunately, based on the track record, I’m fully expecting next week to be another poor episode. Time will tell. Appropriately enough, this episode is titles Going Rogue, though it doesn’t seem like it’s specifically about any one person going through a betrayal. Instead, the title is a combination of a couple things. 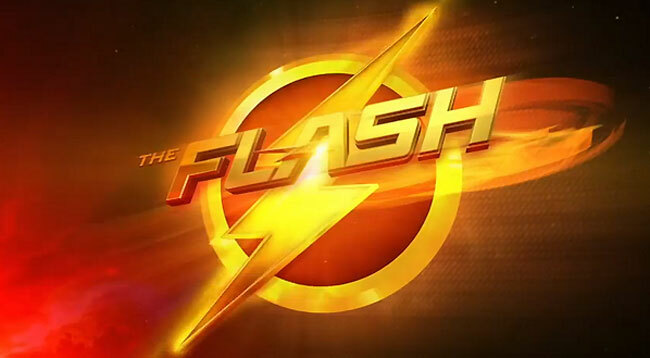 One is the fact that this episode really begins to create the Flash’s rogue’s gallery with the introduction of Captain Cold through this episode and also the hint of Heatwave at the pre-credits scene instead of yet another Wells moment. It also applies to the fact that the weapon that Captain Cold gets a hold of is one that was created by Star Labs, specifically Cisco who created the weapon before Barry became a trusted member of the team to specifically combat him in the event that he himself went rogue. We also get a brief glimpse of Wells’ darker side as he chastises Cisco for creating the gun in the first place. There’s also the subplot and Arrow tie-in with Felicity coming to visit Barry where she is a possible love interest though they both understand that Barry has a thing for Iris and Felicity has a thing for Oliver. Overall, it’s a decent episode though it feels more like filler than anything else. Wentworth Miller was decent as Captain Cold, and the scenes with Felicity and Barry were great, especially the moment when she is supposed to cover for him and notes how she is talking to the air. Something that I think this season of Agents of S.H.I.E.L.D. does well is convey the idea of multiple conspiracies and organizations working against each other in various ways. There’s old S.H.I.E.L.D., new S.H.I.E.L.D., Hydra, the government, and more or less free agents Rayna and Skye’s father. This episode brings in yet more connections as it introduces Ward’s older brother Christian as a senator who is vocal against S.H.I.E.L.D. as it stands now even though Talbot has started to turn around on his position towards Coulson’s S.H.I.E.L.D. Meanwhile, there’s also the introduction of a new weapon that turns people to ash in a sped up version of what the obelisk did to people. We also get to see a bit of fun with the ex-couple Hunter and Bobbi as well as a bit of seriousness between the ex-almost-couple FitzSimmons as the real Simmons isn’t nearly as helpful at knowing what Fitz is saying as the imaginary Simmons was. While Fitz’s connection with his new partner of sorts is made stronger because Mac doesn’t have any preconceived notions of how Fitz was before his accident, and instead only knows him how he is currently. There’s also the added question that’s brought up when Coulson is talking with Ward’s brother who casts doubt on the entire story that Grant told the team about what went on when he was younger. It’s a great scene as both Coulson and Skye are talking to their respective Wards who are both essentially saying to trust nothing that the other has told them. And it was no surprise to me that Grant Ward manages to escape as he is being transferred to stand trial in his brother’s jurisdiction, though I am very curious to see how it plays out further on. Even as this cast has been expanding, the show has done a good job at putting the focus where it needs to be in order to make all the characters feel important rather than just sidelined. And as it stands, I’m pretty happy with the main focus currently on the team of Hunter, Skye, May, and Bobbi which is interesting as it has become not just a female-strong cast, but more of a female-dominated cast, and there’s definitely nothing wrong with that. After getting interested in this show through the pilot which introduced us to a female lead that has gone away, this episode almost feels like a secondary pilot as it introduces the actual female lead through the rest of the season with Zed. Honestly, even though I only got the chance to see each character through one episode. An episode where they were both introductions where they each have a mystical power that can help Constantine with his investigations, and he can help them control and/or understand their powers. I have to say that I like Zed much better than Liv. Even though Liv gained some confidence by the end of her episode, Zed starts off the episode with much more confidence and charisma than Liv ever did. Even though Zed doesn’t fully understand her powers or have full control over them, she isn’t a complete novice when it comes to what Constantine is doing and already feels like she is helping him rather than slowing him down. As for the episode itself, it’s hard to tell if it was actually trying to go for a real scare or not, as the actual horror portion of the show did feel a little weak. But I also didn’t think that hindered the show too much because the overall tone feels like it’s more of an action show than a horror show. 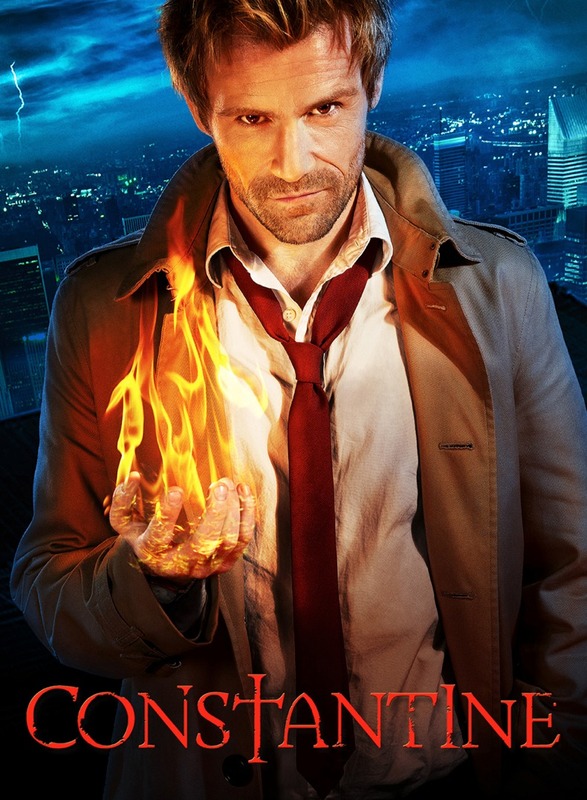 Or technically, it feels a bit more like a supernatural procedural where Constantine is solving the mystery of the supernatural element in a way that Gotham feels like it should be doing. While the solution to the mystery was a little bit unfulfilling, especially as Constantine’s deduction was all pulled from clues near the beginning of the episode though he didn’t play his cards until the very end. But he did have a great moment as he turned the woman’s own dark magic against her in an ending reminiscent of a Tales From the Crypt episode. I’m honestly a little tired of the talk of the coming darkness already, but I suppose it’s one of those necessary story elements to help explain the premise of the entire show. It’s still fun, and I am glad that they went with Zed over Liv. What was your favorite episode this week? Have you given up on Gotham yet, or are you a fan? Should I try jumping into Arrow without catching up on the first two seasons? Or, are you willing to help me fill out the week in comic book shows by contributing a paragraph for Arrow or the Walking Dead each week? Let me know, leave a comment below. Until next time, this has been Bubbawheat for Flights, Tights, and Movie Nights. Posted on November 2, 2014, in TV Nights and tagged Constantine, DC, flash, gotham, hellblazer, Marvel, review, SHIELD, television, tv. Bookmark the permalink. 2 Comments. 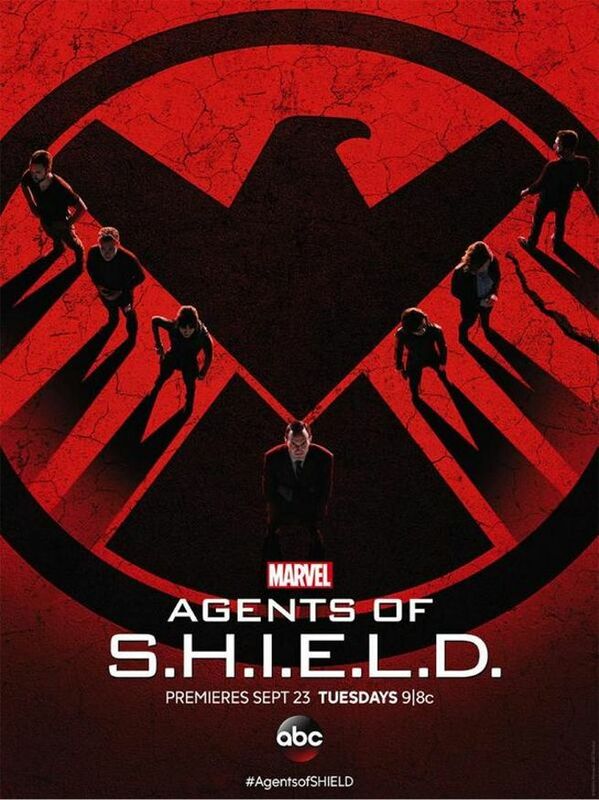 I’m totally on board with Agents of Shield this season and love how brisk the episodes have felt. It reminds me a lot of Alias during its heyday with all the double crosses and different characters working for various goals. It’s been amazing to see how far the show has come; it’s one of my must watches each week. I haven’t watched Alias, but I do think that S.H.I.E.L.D. handles the multiple characters and intersecting storylines much better than Gotham does, though that’s not saying a whole lot right now. It’s funny that even though it’s high on my list, it was the last episode that I ended up watching this week.